There is a common thinking that innovators are older people who are researchers in universities and large enterprises with large funding. Our world has proved that to be not always true. There has been many cases of high school students and college drop outs – who have gone on to convert an innovative idea into some of the world’s largest businesses and most revolutionary inventions. Young innovators throughout history have changed the world as we know it today. Many things that we take for granted today came from the imaginations of youth. Ear-muffs were invented in 1873, by Chester Greenwood at the age of 15. In 1905, popsicles were invented by Frank Epperson at the tender age of 11. Another great example we should all be familiar with is Television, which was envisioned by Philo Farnsworth at age 14, who at that age had already built an electric motor and in 1927. By 21 years of age, Philo Farnsworth had brought his vision to life, building the first television and producing the very first television transmission. In more recent history, in 1978, 14-year old, Shiva Ayyadurai invented the world’s first full-scale email system, when he was challenged by his mentor at the University of Medicine and Dentistry New Jersey (UMDNJ) to emulate the paper-based interoffice inter-organizational mail system. He wrote over 50,000 lines of code in detail, with comments, to connect the four campuses of UMDNJ while defining email and the term as we know it today. In 2008, Taylor Wilson became the youngest person, at the age of 14, to fuse the atom in his garage with a nuclear reactor he built himself. It is undeniable, an innovator can be any age. 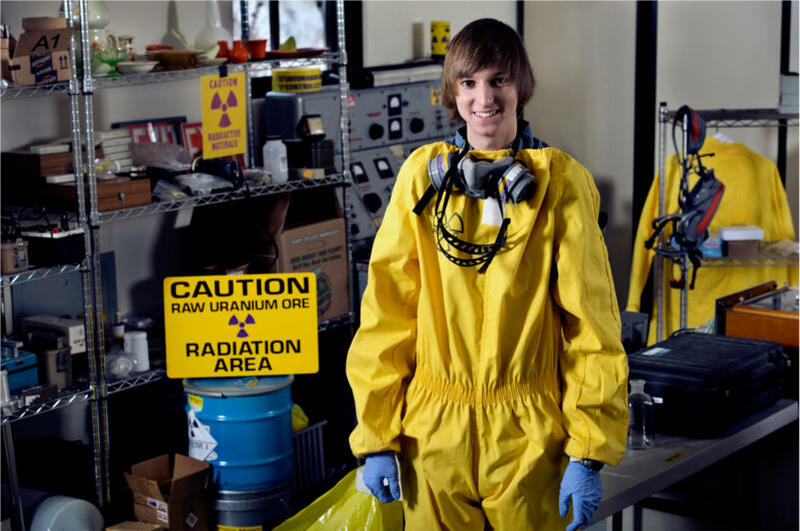 Taylor Wilson, a nuclear physicist built a nuclear reactor at age 14. He is pictured here, at 19, in his garage at his Reno, Nevada home. As information and resources become more accessible, there are more and more opportunities for youth to solve problems and create solutions. Since the first Internet application, Email, youth today have more power than ever at their fingertips and there are more and more young innovators developing new applications, technologies and inventions that are going to market before they are going to college. It is time that we not only recognize that an innovator can be of any age, but that we actively cultivate and build the necessary ecosystems for young innovators to thrive and succeed, building our future, today.